One of Europe’s strangest and biggest success stories claims to be undergoing a radical change. Ryanair has built a phenomenal business over the past decade with it barebones image becoming a sign of the Zeitgeist . Could a cuddlier Ryanair be an indication that the recession has really ended? Or might it just be another clever tactical move from a company with a track record of playing on the preconceptions and gut reactions of the mass market? Ryanair was Europe’s most profitable airline in 2012. It carried three times as many passengers as British Airways and almost as many as the Lufthansa Group, Europe’s biggest airline. They are also, quite deliberately, Europe’s least pleasant airline. Passengers who aren’t happy have been advised by the CEO, Michael O’Leary, to “f**ck off somewhere else.” Passengers who forget to print their boarding passes in advance pay an airport penalty of €60 each. There are frequent press stories about passengers, with hand baggage that is slightly over the airline’s idiosyncratic limits for weight or size, paying hundreds of euros or leaving their bags behind. The airline rarely comments at all on these stories but when it does, it says simply that the passengers should have read the rules which are posted clearly on the website. It never gives refunds and, indeed, seems only to pay court-ordered ones once the court has instructed bailiffs to seize Ryanair property. A few stories about Ryanair have become so legendary that it’s very difficult to peel back the layers of outrage and get to the truth. In one, a heart attack victim flying to Stockholm was given a sandwich by a crew member (she apparently believed that the passenger was having a hypo-glycaemic episode and insisted that he eat). The crew member then kept returning to demand money for the sandwich. His daughter, a nurse, told the crew what was really happening but was ignored. On landing, the heart attack patient miraculously survived a trip to the hospital in the family car after Ryanair had refused to call an ambulance. The Swedish authorities fined the airline which said that it was sure it had done nothing wrong. Ryanair actually cultivates this image. When there is no real media outrage about its antics, it creates some. A favourite trick had been to claim that it is considering charging for use of on-board toilets. This would, as its home regulators in Ireland point out wearily, require a change to aviation law that they are highly unlikely to initiate. Nonetheless, every time the idea is floated, it gets O’Leary precious media attention. Something similar happens every time he insists that he is thinking about making passengers stand during flights unless they pay extra for a seat. Ryanair ads are deliberately amateur and the website looks as if it was last updated in about 1995. The company doesn’t advertise on TV or buy banners. All this is to reinforce the idea that it won’t pay for pointless luxuries like ad agencies or designers. O’Leary has, though, spent a lot on PR agencies and staff because he thinks that his message of extreme frugality and indifference.to passengers is good for business. Until now, he had been right. Ryanair earned almost €700 million last year – much of it from those “gotcha” fees. He has never discussed his rationale in public but former advisers have told me that he is sure that passengers think he could not get away with being so indifferent and callous were Ryanair not really cheap. In fact, these days, it is often no cheaper than nicer low-cost rivals such as Easyjet or even old network carriers such as BA. But, consumers don’t check because they just assume Ryanair must be cheaper – if not, how could they survive? It’s a variant of the idea that consumers won’t use an antiseptic unless it smells bad and stings. Otherwise, how could you be sure that it was really killing germs? This year, the formula might finally have stopped working. Ryanair has issued two profit warnings (albeit that it is still on course to make half a billion euros) and the share price has dropped sharply (albeit only back to early 2013 levels). There are three theories about what has happened. The most common is that O’ Leary had finally gone too far. Earlier this year, a British surgeon working in Dublin learned that his whole family the UK had been killed in a suspicious house fire. He had been scheduled to work in Dublin for another three days but, obviously, went to the airport to get back to those relatives who had survived. In front of a crowd of journalists, Ryanair made him buy a new ticket. Maybe consumers have finally decided that being the cheapest is no longer the critical differentiator. The second theory is that O’ Leary lost control of the message. 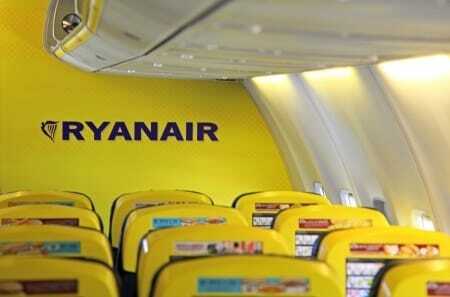 A BBC tv programme claimed that cost controls often forced Ryanair pilots to fly with dangerously low levels of fuel. It has long been thought that passengers will put up with all kinds of discomforts and humiliation to save money but they probably won’t endanger their safety. Ryanair has sued the BBC. The Irish aviation regulator, which normally has a very tense relationship with its biggest charge, has denounced the programme. The decision to challenge the BBC may, though, be another sign of losing control: tens of millions know about the lawsuit even though the original programme had an audience of only a couple of million. In crisis management, discipline is all and discipline usually involves taking it on the chin. Cynics think that there is no cuddly new Ryanair; just a new technique for delivering the old, mean message. Faced with shareholder demands for a change of course, the irascible CEO has gone on an ostensible effort make friends but is, in fact, committed to more exposure for his core cheap, nasty character. He believes that the fundamentals of the marketing strategy don’t need any change. Reputation is clearly not what it was in the pre-recession, pre-internet days. We’ve written before about the extraordinary resilience of Toronto’s crack-smoking Mayor and the irrelevance of boycott and email campaigns to most companies the second decade of the 21st century. It may be that consumers are starting to ignore stories that would, a few years ago, have changed their behaviour. It may also be that companies which understand this changing dynamic are the ones who can find new ways to use even hostile coverage to signal things that really do matter to consumers.